We’re not surprised Raleigh tops the ranks for best cities to live. With abundant culture, attractions, events, nightlife, and good eats, Raleigh is an affordable hot spot for just about anyone. However, we think there are small towns in the Triangle worth mentioning as best places to live. The Triangle got its name because of the location of three major universities. 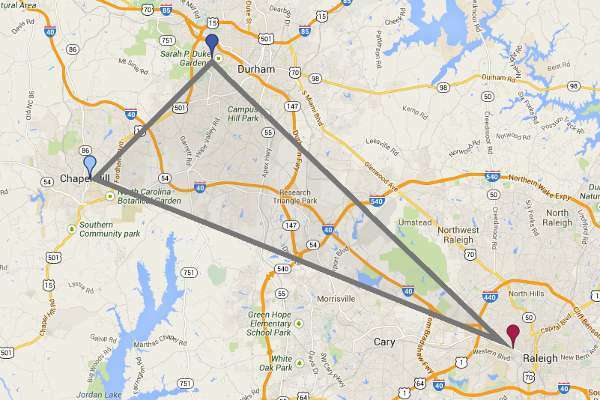 NC State, Duke, and UNC are located in Raleigh, Durham and Chapel Hill, the points of the “Triangle”. 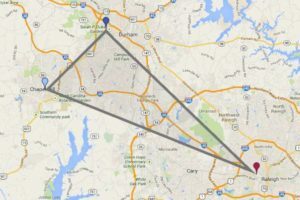 But, today when people refer to the Triangle, they’re likely referring to a broader area including many other cities and towns. Cary, Apex, Holly Springs, Fuquay-Varina, Wake Forest and more amazing towns make make up this great area. Cary, Apex and Holly Springs are to the west of Raleigh and have each earned accolades for best places to live. Many people relocate from other states to these suburbs for a better quality of living at a more affordable cost. They offer small-town charm and close proximity to Research Triangle Park, the largest research park in the country. 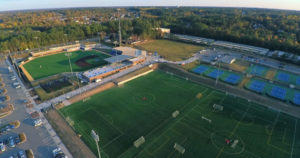 Cary has big city amenities like its very own Koka Booth amphitheater and excellent shopping and dining but keeps that the small-town friendliness. Apex and Holly Springs are slightly more rural towns, but growing quickly. Apex has great schools, a busy downtown and local events like the annual PeakFest. Holly Springs is home to the Salamanders, a minor league baseball team and a growing population of families. All three towns top our list of great places to live. South of Raleigh you’ll find Fuquay Varina and just north of the city is Wake Forest. Both towns are about thirty minutes from Raleigh and are quieter than Cary, Apex and Holly Springs. 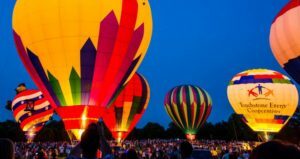 Fuquay Varina has two downtowns, dozens of parks and playgrounds and hosts the Freedom Balloon Fest. Wake Forest holds a lot of history, and set in nature. Falls Lake is just minutes from the town making it a perfect area for outdoor lovers. There are so many suburbs of Raleigh that have unique things to offer visitors and residents. We detailed some in this post, but if you want to explore more amazing areas just visit our Areas page.